At Kaknes Landscape & Patio Supply, we're committed to patio furniture with a low environmental impact. Reflected in this commitment is out choice to only sell HDPE resin wicker, which can be 100% recycled when it's time to retire your furniture. We chose Vermont Cedar as our natural wood furniture provider because of their sustainable logging and anti-deforestation practices. We hope you share our vision of beautiful, eco-friendly outdoor living! Biscaynne is an All-Weather Wicker in a beautiful walnut tone. Curved arm rests add to the style & comfort of this collection. Your choice of Sunbrella Red Flagship Ruby, or Sunbrella Blue Canvas Spa cushions. Available as a Sectional, Sofa, Chair, or Swivel Rocker. Accent pieces include Ottoman, Coffee Table & End Table. Clean lines and a beautiful beige all-weather wicker makes this collection a favorite. Cushions are available in Sunbrella Navy Indigo Birdseye or Sunbrella Tan Canvas Birdseye. ​Available as a Sectional, Sofa, Chair, or Swivel Rocker. Accent pieces include Ottoman, Coffee Table & End Table. This collection features sophisticated, rounded, highback seats, a beautiful deep walnut all weather wicker, and Outdura Cushions in Tan Rumor Bamboo. Available as a Sofa, Reclining Morris Chair, or Swivel Rocker. Accent pieces include Ottoman, Coffee Table & End Table. Made in Vermont from locally sourced, sustainably harvested cedar & all natural Manilla Rope, these chairs are modeled after a hammock chair for superior comfort. Cedar is naturally insect and rot resistant, and because of this these chairs have a lifetime warrantee! Available in White, Grey & Natural, these chairs make a great accent piece for any outdoor space. 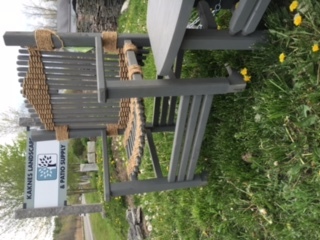 Available as an Adirondack Chair or Rocker. Accent pieces include Ottoman & End Table.